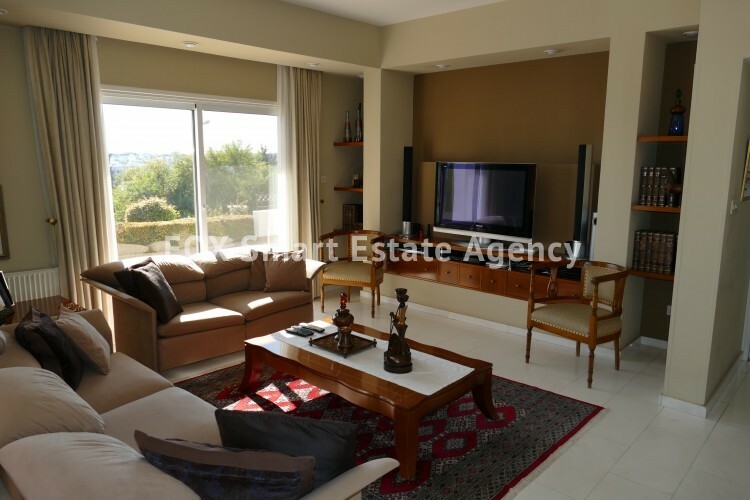 Luxury house for sale in Makedonitissa close to the Makario Stadium with net living area of 320sq.m plus 90sq.m basement area with store room. Land 1,050sq.m. There is a separate maids/guest room. Located in a very quiet neighborhood. 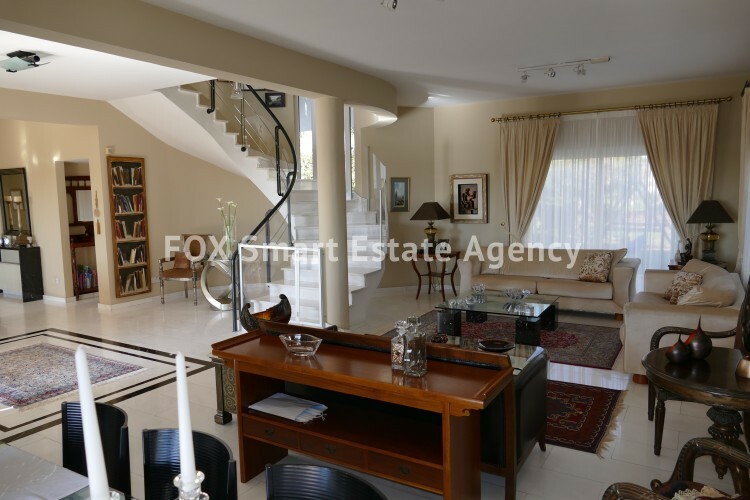 Ground floor / Entrance floor: impressive entrance hall with high ceiling, extremely bright formal living room with dining area, office room and guest toilet. There is a separate modern kitchen. 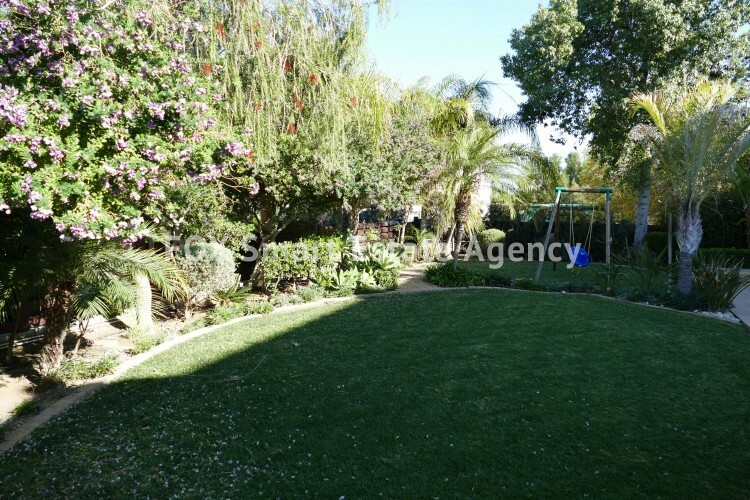 From the living room there is access to the beautiful landscaped garden with barbecue area. First Floor: There are 3 spacious bedrooms (master en-suite), a full bath and a TV area. Basement In the basement there are 2 spacious store rooms and 2 covered parking spaces. The house was constructed with high quality finishes and boasts of an excellent architectural design and construction materials. 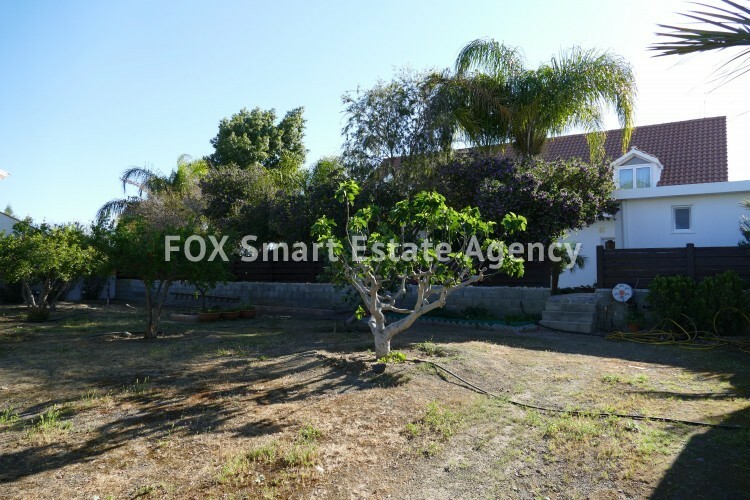 This is a property with great view and huge yard in a very unique location which offers an important level of convenience and comfort. In the area there are super markets, shops, cafeterias and schools. Only 5 minutes’ drive from private schools.